Alex Brightman & Sophia Anne Caruso in "Beetlejuice" at the National Theatre in Washington, D.C.
Beetlejuice, the highly anticipated new musical based on the hit film, has firmed up lead casting for its Broadway premiere at the Winter Garden Theatre. 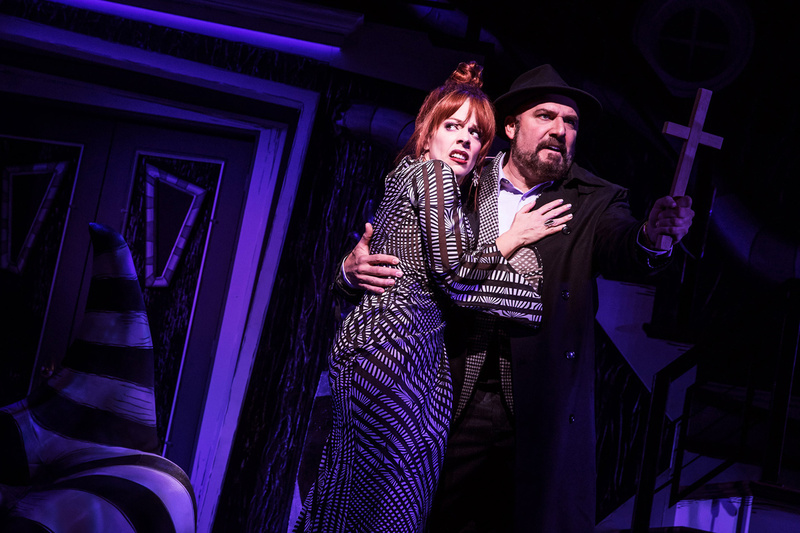 The production has also set a first preview date of March 28 ahead of the previously announced April 25 opening night at the recent home of School of Rock. The six celebrated principal stars of the Washington, D.C. out-of-town production will repeat their work on Broadway. 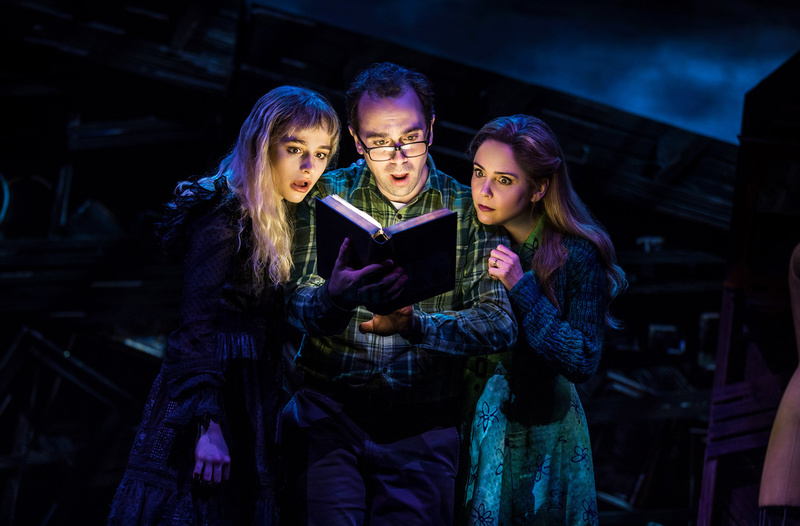 That includes Tony nominee Alex Brightman in the title role, with Lortel nominee Sophia Anne Caruso as Lydia, Tony nominee Kerry Butler as Barbara, Tony nominee Rob McClure as Adam, Lortel winner Leslie Kritzer as Delia and Obie winner Adam Dannheisser as Charles. The team also includes scenic designer David Korins, costume designer William Ivey Long, lighting designer Kenneth Posner, sound designer Peter Hylenski and projection designer Peter Nigrini, with puppet design by Michael Curry, special effects by Jeremy Chernick, illusions by Michael Weber, music producing by Matt Stine and dance arrangements by David Dabbon.